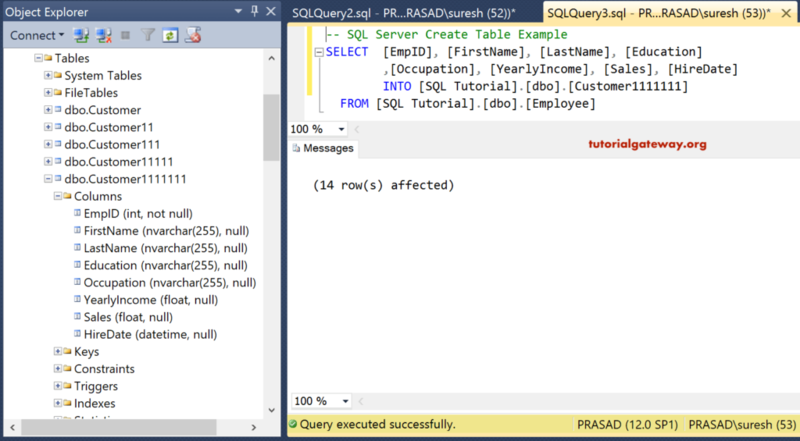 NOTE: Before you start creating a TABLE, It is always advisable to check if a Table exists or not. 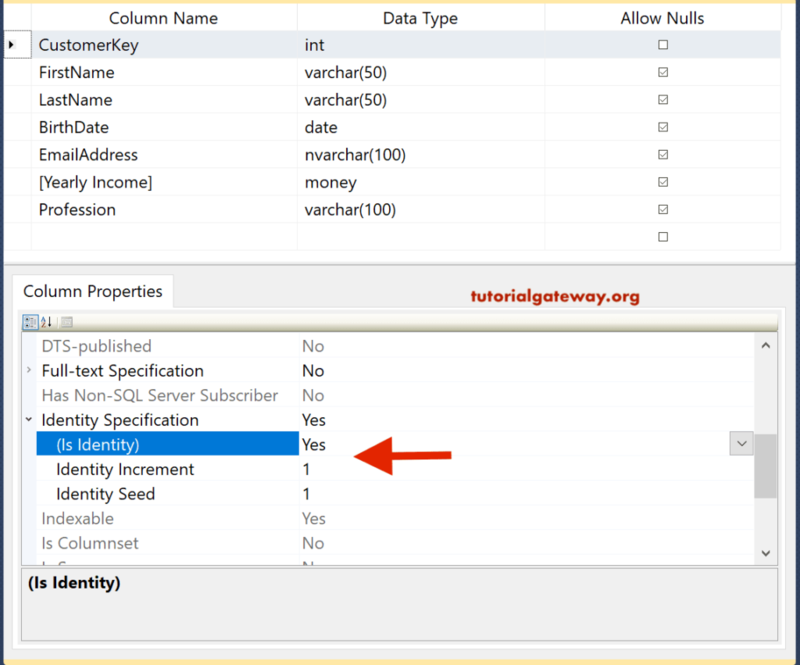 Our first column is CustomerKey of Integer data type and it will not allow NULL values. 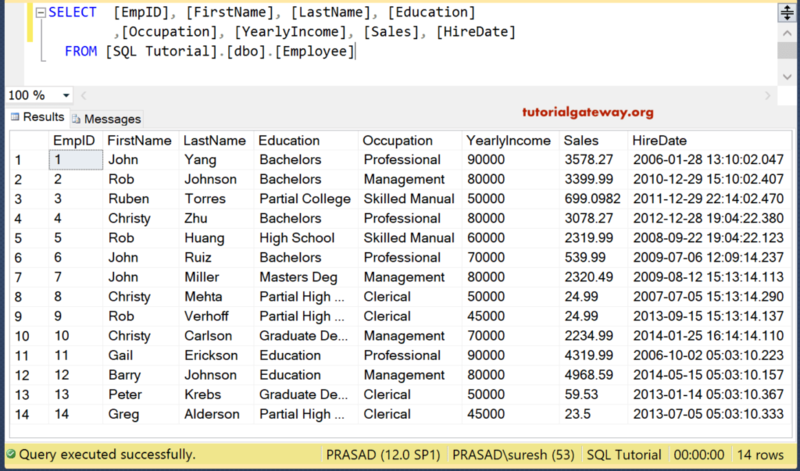 EmailAddress and Profession columns belong to NVarchar data type and it will allow NULL values. 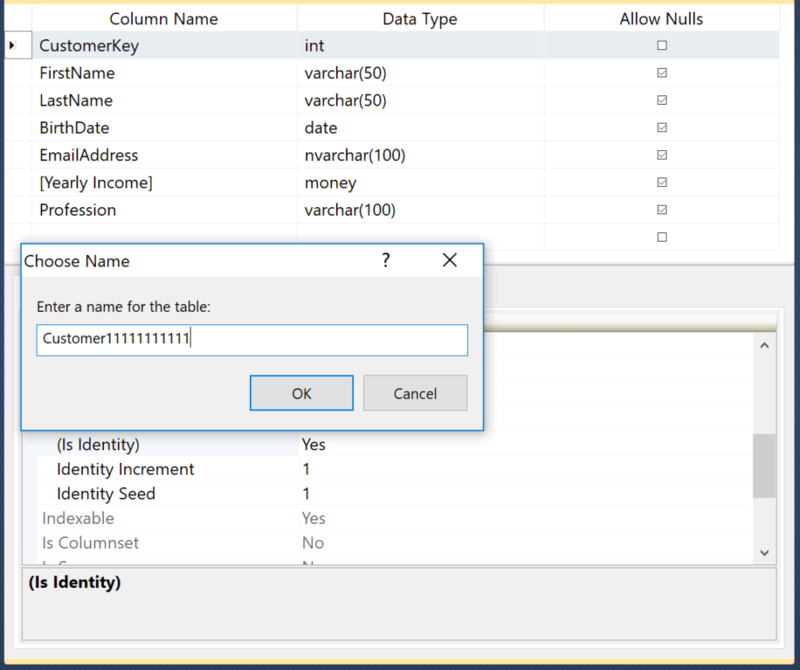 From the below screenshot you can observe that Command is executed successfully and you can see the Newly created table in Sql Server object explorer. 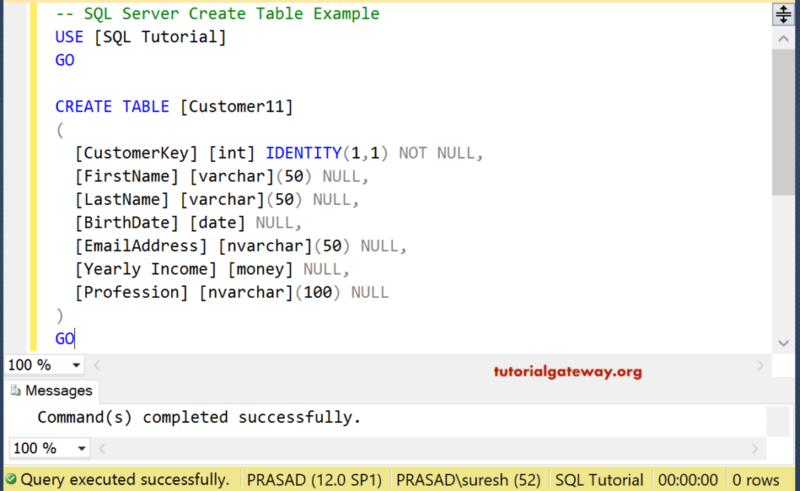 In this Sql Server create table example, we will show you, How to create a Table with a Primary Key column. I suggest you refer to a Primary Key article to understand this constraint. As you can see from the below code snippet, we just added the PRIMARY KEY word to the Customer key. 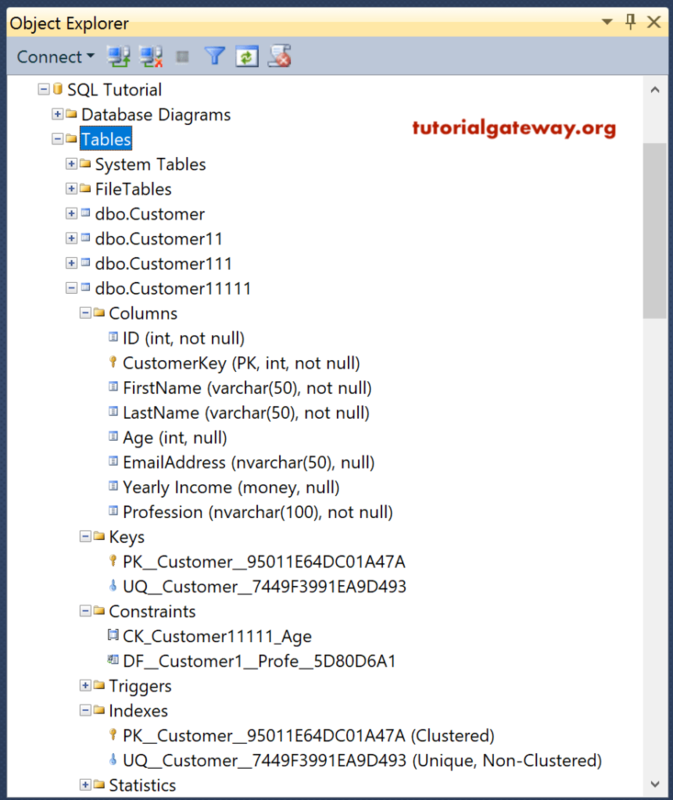 This will create a primary key on Customer key column. 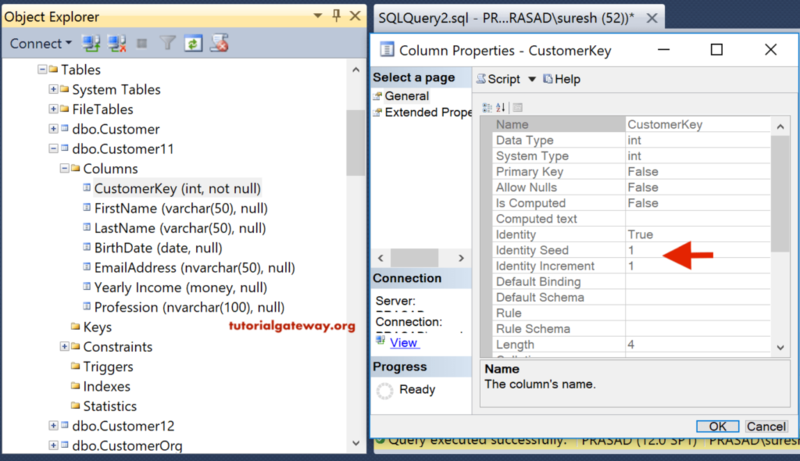 In this sql create table example, we will show you, How to create Sql Server Table with Identity Column, Primary Key column, Unique Key, and Check Constraint. I suggest you refer to Unique Key, Default Constraint, and Check Constraint articles to understand these constraints. The last Name will accept Unique values. 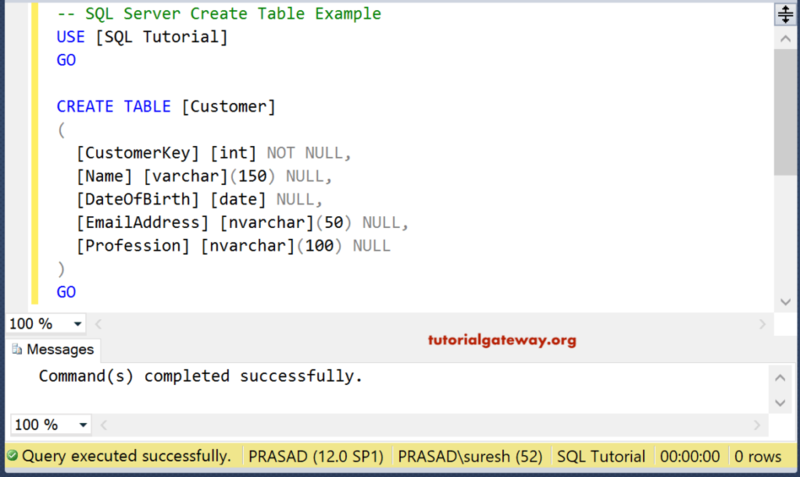 The SQL Server provides Select into Statement to create a table using an existing table along with data (if any). 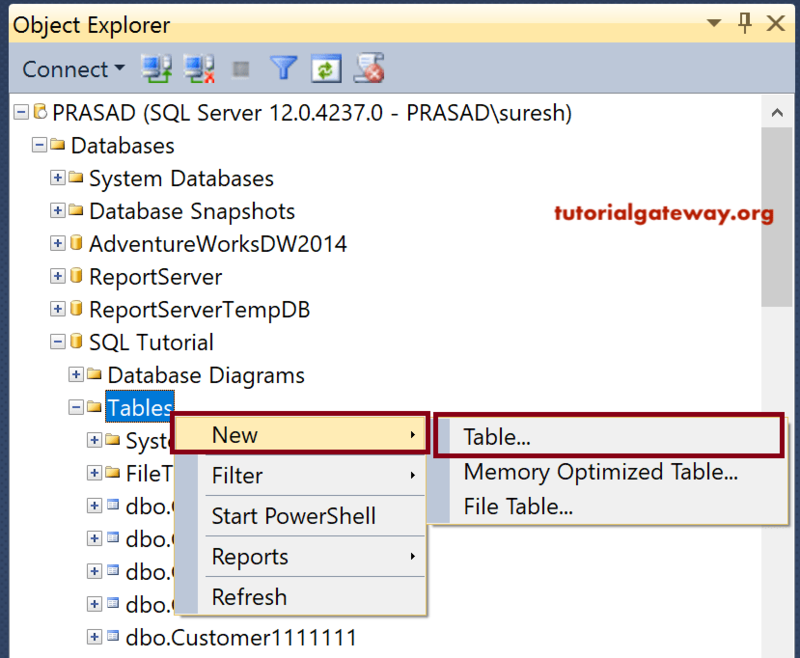 In order to Create Sql Server Table, within the Management Studio object explorer, Expand the Database folder in which you want to create table in Sql Server. Please select the Tables folder and Right click on it will open the context menu. 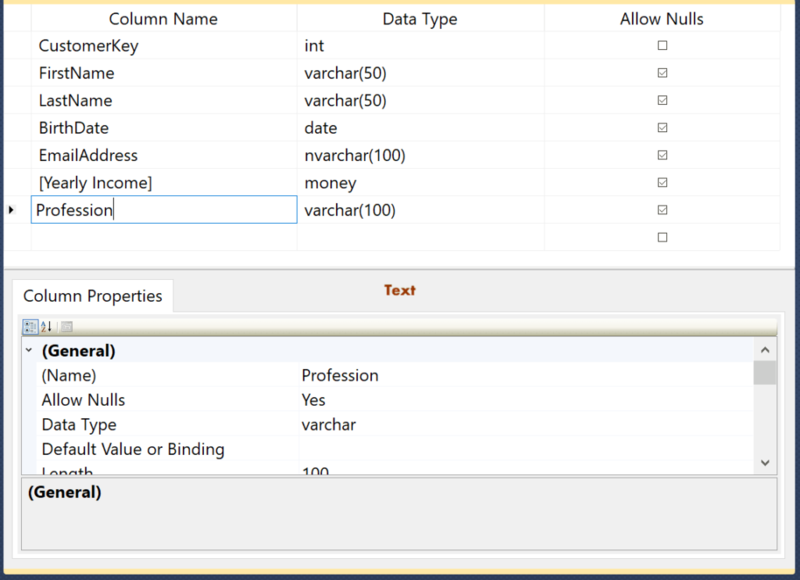 First, select the column and Go to the Column Properties tab. 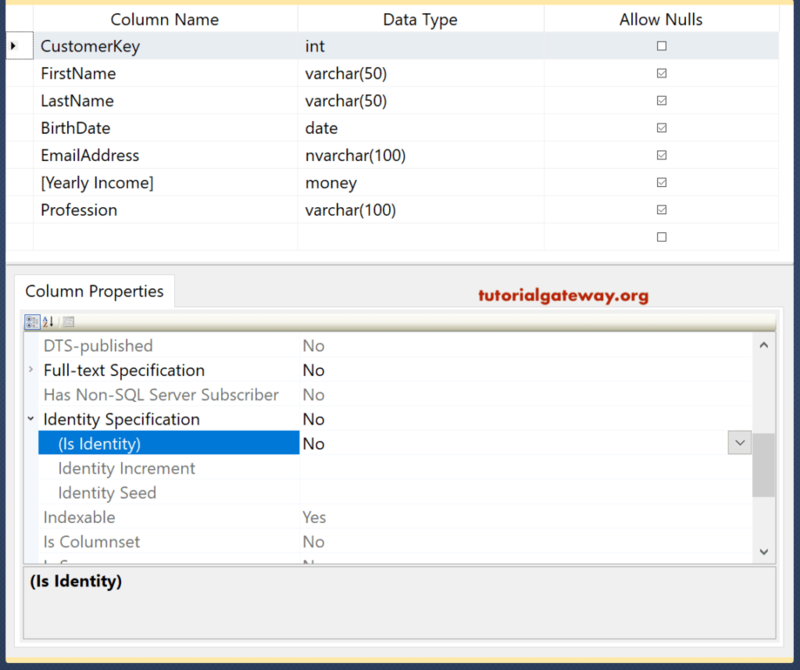 Please change the IsIdentity option from default No to Yes in Identity Specification property as shown below. 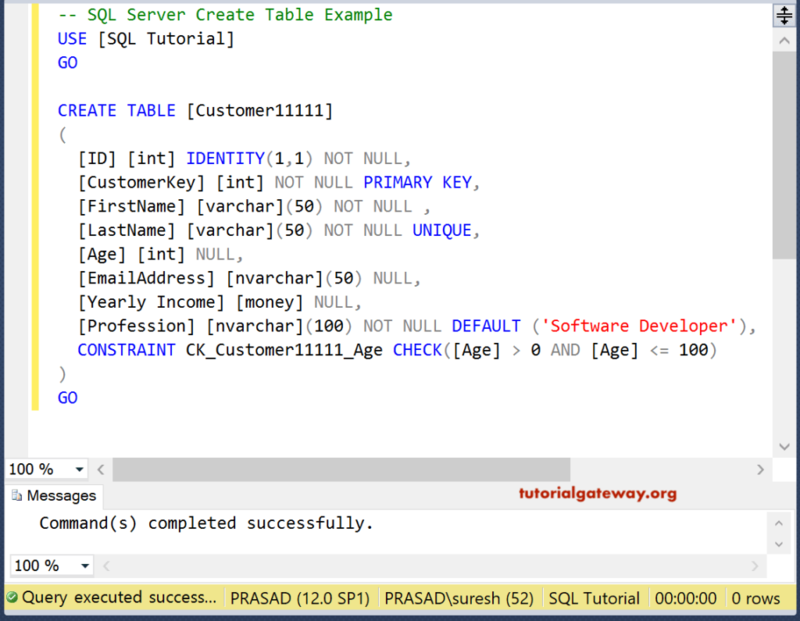 Once you finish create table in Sql Server, Please click on the save button to save the table. Once you click on the save button following window will be appeared to rename the table name. Click OK to finish saving. 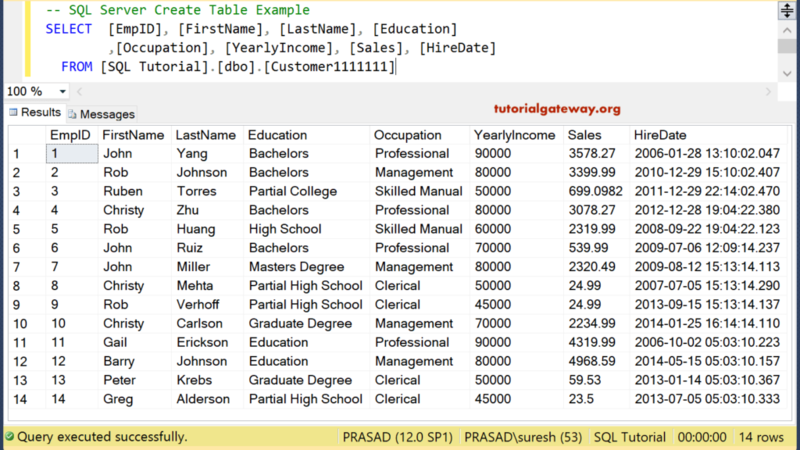 Write the following Select statement to check whether the table holds all the column names or not. 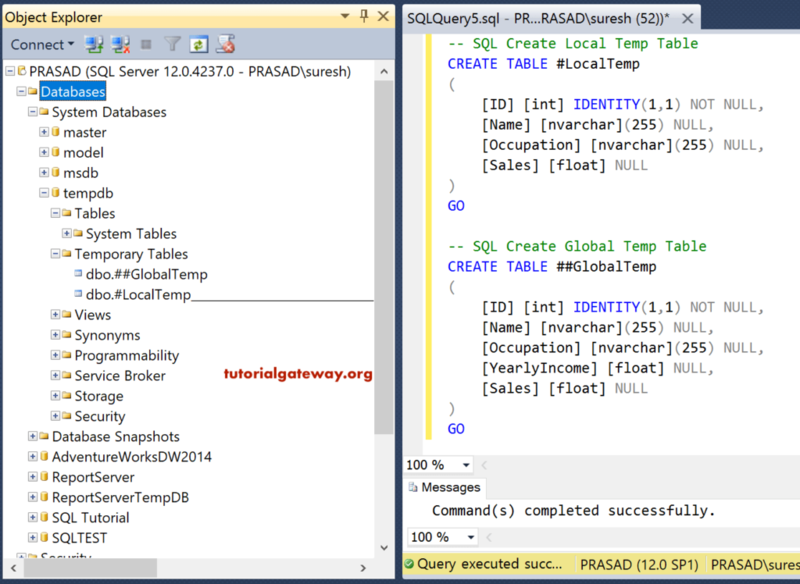 In this example, we will show you, how to create local and global temporary tables in SQL. 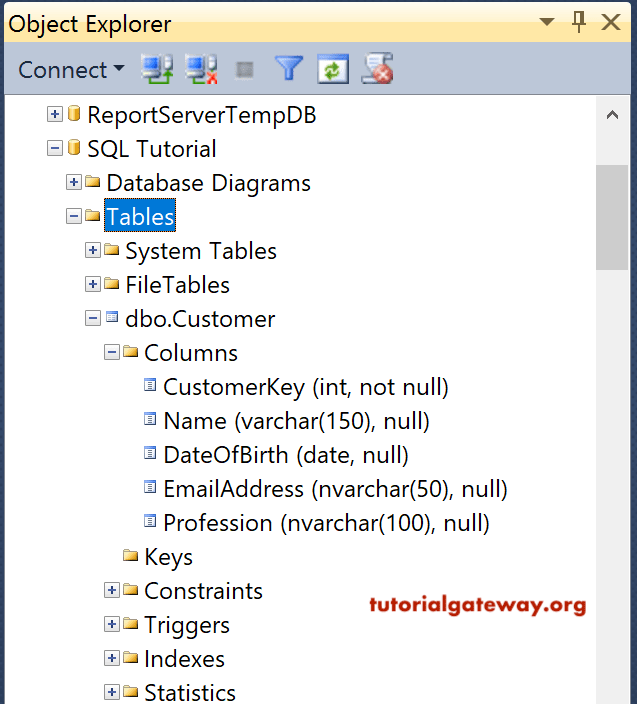 Please refer Temp Tables article to understand the code.